The Thursday evening market returns for the summer. Revel in the fresh air of 2017 and shop at an almost insultingly slow pace at the same time. 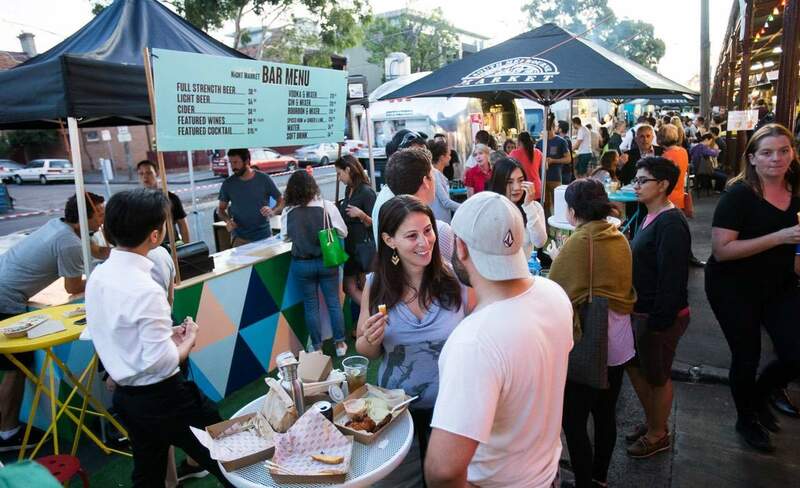 Come the balmy nights of January and February, the South Melbourne Market is again bringing back their Night Market, offering everything from fresh food and produce, jewellery and homewares to artisan and vintage goods, all within a leisurely summer's evening stroll. With stall after stall of fashion and accessories to peruse and many a snack to consume, the night market will have something to offer everyone — and every one of their senses. From world class food and wines to cheap but delicious street food, the market will also feature free entertainment with musicians playing across four stages. Expect noms from local dessert masters Bibelot, non-profit Crepes for Change and SMM stalwarts Simply Spanish. And beers will be supplied by Colonial Brewing Co., who have just opened a brewery in Port Melbourne. You can wander on down to the night market every Thursday evening from 5.30pm from January 5 until 23 February. Entry is free, and there's even free rooftop parking available for those that need the car boot to get their market finds home.